The first two special guests were revealed today for what is going to be an extra magical LeakyCon in 2019. As we shared last year, LeakyCon, one of the largest Harry Potter-themed events in the world will celebrate its tenth anniversary with two celebrations of The Boy Who Lived, including double the panels, performances, programs, cosplay and the LeakyCon Marketplace! The first event, which has been deemed Leakycon 9 ¾ will return to Dallas, TX August 9-11. The first special guest to be added to the 9 ¾ lineup is the brilliant Wizarding World wand choreographer Paul Harris. If you’ve seen him in action at Universal Orlando’s A Celebration of Harry Potter, you know how spellbinding his work is. To mark the tenth anniversary of this Grawp-sized convention, Leakycon10 will once again take place in Boston where it all began in 2009. And to get it all started, Chris Rankin, who played middle Weasley brother and Gryffindor Prefect Percy was revealed as the first guest to appear at the celebration. With double Leakycons this year, there will be double the excitement, so stay tuned for all the coming announcements! If you haven’t made a hotel reservation yet, get in quick! Book the official partner hotel – Hyatt Regency Dallas – for LeakyCon in Dallas at special rates starting at $145 per night. The Seaport Hotel & World Trade Center – the venue for LeakyCon 10 in Boston – is offering a very limited number of rooms at special rates starting at $269 per night. The reduced price rooms are all booked up for the whole weekend, however the hotel has a few rooms remaining for a one night stay Saturday-Sunday. Alternatively, there are still full priced single/king rooms remaining! Are you heading to either or both events? Let us know! 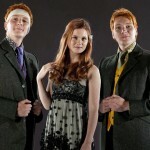 Go to Leakycon.com for all the details and to register. 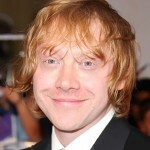 Weekly Round-Up: Rupert Grint's First US Comic Con, Miranda Richardson Joins 'Game of Thrones' Prequel and More!